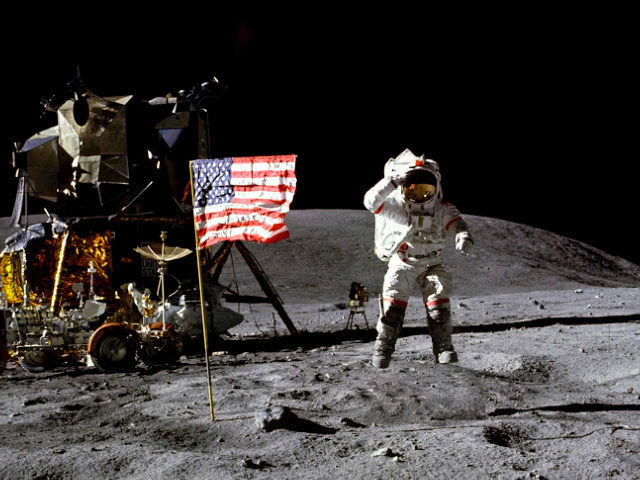 Vice President Mike Pence brought word from President Donald Trump Tuesday that the U.S. will put an American back on the Moon within five years. The U.S. Space & Rocket Center in Huntsville, Alabama, served as the venue for the meeting and remarks from the vice president. Listeners applauded at the news an American would return to the Moon within five years. “Let me be clear: The first woman and the next man on the Moon will both be American astronauts, launched by American rockets, from American soil,” Pence clarified to more applause from the audience. He reminded listeners that the rockets that powered Apollo 11 carrying the first men to the Moon were developed at the Huntsville facility.